When one thinks of a 'Casanova', one thinks of a charmer. This new collection of jacquard weaves is a charming interpretation of some age-old classics. The Casanova collection comprises 3 designs in a total of 33 colourways. Design Madame is an elegant jacquard featuring a traditional ornamental floral motif. This design is wonderfully complemented by a simple and classic two-tone stripe called Marcella which is embellished with what looks like a lustrous twisted cord. The contrast of matt and lustre yarns creates the interest in both colour and texture. The third design in the collection is called Milady, and is a contemporary interpretation of a damask. Delicate shimmering yarns create an interesting outline pattern on a luxurious satin ground. There are 11 colourways in each design namely Nougat, Ivory, Lemongrass, Wedgewood, Malachite, Liquorice, Mink, Sesame, Paprika, Crimson and Passion. Some offer subtle tone-on-tone colour variations whilst other colourways such as Sesame and Liquorice, have more contrast and bring some drama to the collection. 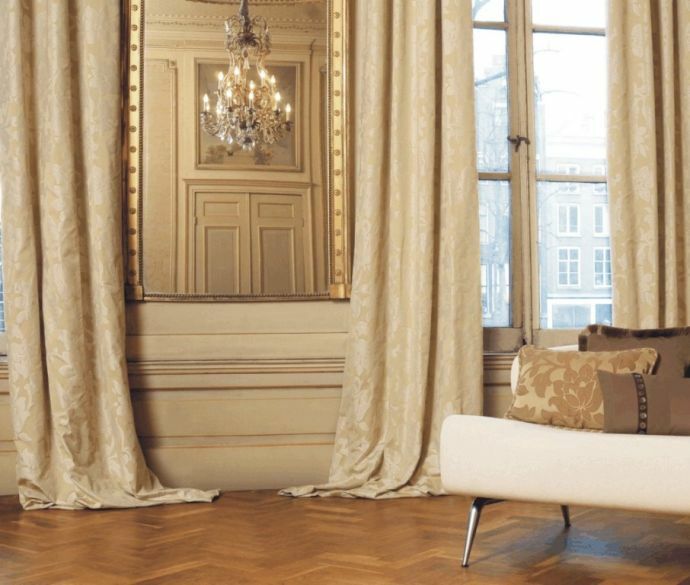 The entire range is suitable for both curtaining and domestic upholstery applications. It is washable on a gentle cycle at 30°C and is dry cleanable with Perchlorethylene. The Casanova collection also passes various flame retardancy specifications as outlined at the back of the sample book. The collection offers very good value and this is indicated by the silver ring attached to the cord of the sample book.